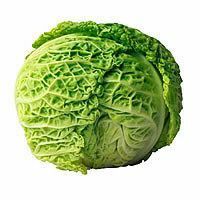 #1 Cabbage: Of course since we are celebrating St. Patties Day we MUST celebrate cabbage! Recently I went to an Irish Pub and ordered corned beef and cabbage, and was horrified to find out that the beef is “corned” because it is brined with corn sized pieces of salt! Meaning that the estrogen known to increase reproductive cancers is eliminated. #2 Olive Oil: I cannot speak highly enough for the virtues of using olive oil as your primary cooking oil in your kitchen. When baking or cooking at temps greater than 340F switch to canola oil. Otherwise, olive oil is a RICH antioxidant source as I stated in my article, “Olive Oil Prevents DNA Damage.” If olive oil is NOT green….it is NOT good. #3 Kale: Just like cabbage, kale falls in the cruciferous vegetable category, and all these veggies are super cancer fighters. In addition kale is rich in magnesium, and trace minerals. To wilt kale, chop it finely, heat a pan to medium heat, add some olive oil and garlic, and when the garlic is soft add the kale, cover, stir occasionally until tender. #4 Spinach: Whether served up in a salad, soup, or tucked away in an omelet, spinach is one of the most versatile and easy to hide green foods. I always keep a bag of organic frozen spinach in my freezer. #5 Chlorella: This blue green algae is great for chelating heavy metals such as lead, mercury, cadmium, and so forth. Chlorella is a rich protein and magnesium source. Start with a small quantity and work your way up to the manufacturer’s recommendation if you are using for detox. ALWAYS buy a certified organic brand when it comes to this chlorella or spirulina. #6 Celery: The dieter’s best friend, celery is an excellent snack that is also thought to lower blood pressure. If you have hypertension try bringing a snack of celery with you everyday. My favorite dip for celery is raw almond butter. Although high in fat, it is high in the good fats. Good Fat + Fiber=Appetite Control=Weight Loss. #9 Pesto: Although it is not really a singular food. The mixture of raw pine nuts, basil, olive oil, and cheese make for a fabulous “superfood feast.” Pesto is a high fat food, but usually used in small quantities. I make mine in the summertime when the basil is a dollar a bunch at the farmer’s market, mass produce, and freeze in yogurt containers, or ice cube trays depending on your serving size. #11 Nasturtiums: I love growing these in my garden because they grow like CRAZY and thus make me feel like an awesome gardener. The leaves add spice to your salad, and the flowers provide a beautiful garnish. Buy several types of nasturtiums and let them hang down a wall in a sunny location. The tendrils love to dangle down. Harvest simply by pinching back the latest leaves. #12 Wheat Grass: Nothing like a shot of wheat grass from the juice bar to pep you up….just be sure you are near a bathroom due to the detoxifying effects. #14 Green Apple: Great for the “sour” flavor we are often missing in the Basic American Diet (BAD.) According to Chinese Medicine we need all five flavors: Salty, Sour, Sweet, Bitter, and Pungent. In America we are out of balance because we eat mainly only salty and sweet. #15 Honeydew: I LOVE HONEYDEW! It is nature’s Gatorade and perfect for an outdoor outing where you need electrolyte replacement. Pack some along next time you go hiking, skiing, rock climbing, mountain biking, etc. Honeydew also quenches the thirst better than most drinks, and is great for cancer patients suffering from “radiation burn” to the throat, public speakers, and those prone to laryngitis. #16 Alfalfa: Because of bacterial contamination issues people have been pretty cautious of sprouts these days, but alfalfa sprouts, along with other sprouted foods contain vital nutrients and enzymes that should make you feel ….well….groovy! Green foods are GREAT because they aid with detoxification. Anytime we see a green food we know it is rich in chlorophyll. The cholophyll molecule is very similar in structure to the hemoglobin in our blood, except it contains magnesium in the center instead of iron like hemoglobin. Magnesium is responsible for over 400+ biochemical pathways in the body, and since most Americans don’t eat enough greens, the top nutrient deficiency in America is likely magnesium. Be groovy, eat your greens.